You must remember, the major two-wheeler manufacturer, Royal Enfield, introduced its superb cruiser bike Royal Enfield Thunderbird 350X and 500X recently in the Indian market. The company had made some special modifications in the technology of these two bikes adorned with a very attractive look and robust engine so that the long journey drivers could like these bikes. In fact, whenever you think of going for a long drive with Royal Enfield's Thunderbird, some such features are very important for you, making your journey even more comfortable. Riding the Royal Enfield Bullet in today's time is a status symbol, almost every youngster wants to ride this bike. But when you buy this bike, you feel that there are many things in this bike which are more swing on the bike and you go looking for features in the market. 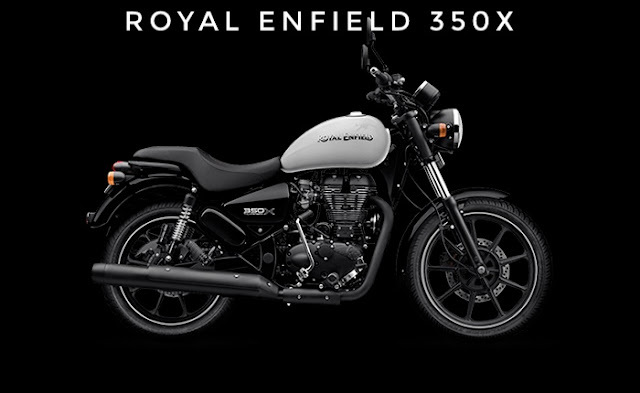 But the company has recently introduced the 350x and 500X of Royal Enfield Thunderbird, which meets your almost all needs. Apart from changing the fuel tank except when you see the new Royal Enfield Thunderbird 500X, you do not notice any particular changes immediately. The company has used more attractive and sporty fuel tanks in this bike. In front of the bike, the company has used a blacked fork and attractive headlight. Apart from this, the company has also used instrument cluster on the right side towards the top of the bike, which was already given in the existing model. Although the company has removed the Hazard Light feature from this bike, which was an important feature for a cruiser bike. Apart from this, the company has given a 20-liter fuel tank on which the enveloped logo of Royal Enfield is attached, which gives the bike a bold look. 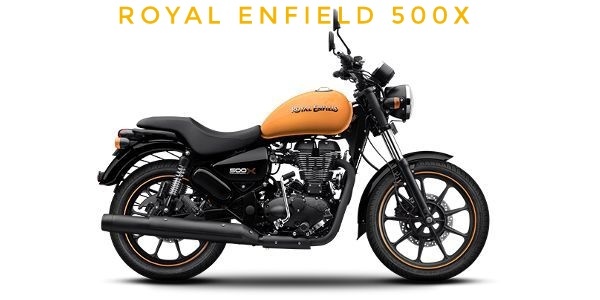 Compared to the previous model, Royal Enfield Thunderbird 500X has been added with some new features by the company so that it looks different and new. It has 9-spoke alloy wheels, tubeless tires, single piece seat, black fork covers, black exhaust and black headlamps. In this bike, there are LED daytime running lamps and LED tail lamps. The company has kept its bike parts the same. In addition, suspension, breaks, and engines have been kept similar to the existing Thunderbird model. The seat used in Royal Enfield Thunderbird 500X is very comfortable. But in this bike, there was a lack of backrest, if two people go for a long drive on this bike, then the person who is sitting in the back can miss its deficiency. Because in the normal model the company had provided the backrest. Some customers may not like it. Although Royal Enfield is in soup as there is hardly any difference between 500X and 350X. It had launched 500X as a limited edition bike with only 250 units up for sale, but seeing the success of 500X it launched a similar bike with changed name 350X with same looks. Customer of 500X are really furious and are after life if Royal Enfield as they have paid a premium price for 500X and 350X is getting ABS feature at an even lower price.